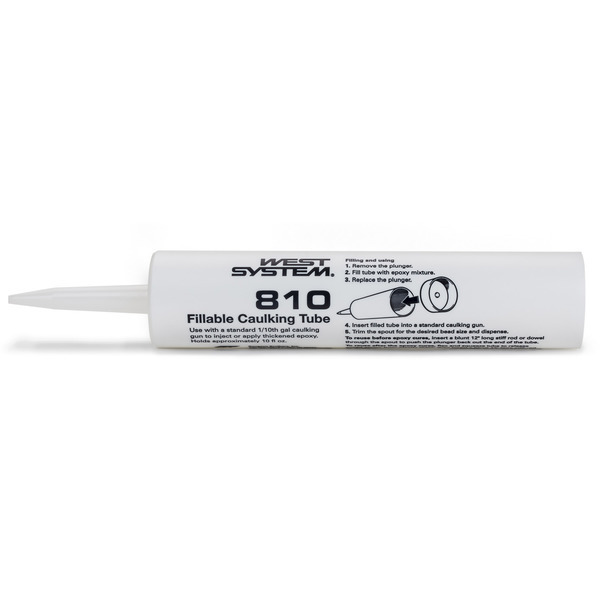 Caulking tubes for use with thickened epoxy and standard caulking guns. Fillable Calking Tubes work well for injecting large amounts thickened epoxy into voids, for gluing operations, or for laying a bead to make fillets. Suitable for refilling until epoxy cures. For use with a standard caulking gun. Holds approximately 10 fl. oz. Available in 2- or 24-count packages.